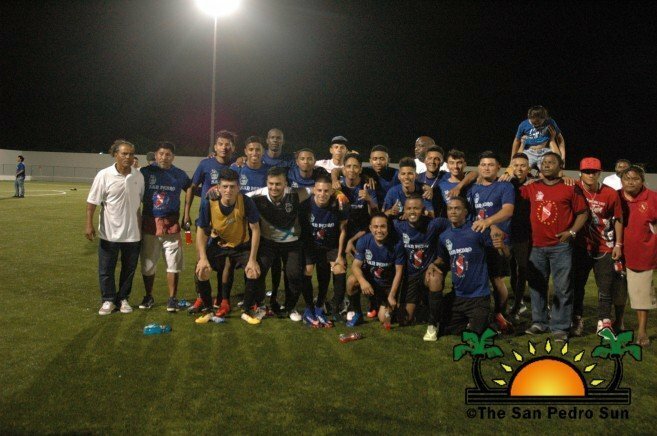 The match kicked off at 4PM from the Isidoro Beaton Stadium in Belmopan City, with both teams determined to win the match and obtain those three additional points in the chart standings. At minute 35, Pirates Facundo Garnier took advantage of a clean opportunity and scored the first goal for the island team. Right before the match went to a break, Pirates Devin Burgess managed to make it to the net and scored another goal. The match went to a break with Pirates leading 2-0. After the break, both teams came back with strong defense. Nevertheless, Police United managed to score a goal at minute 62 courtesy of Hasan Lucas. The fierce match continued with both teams aiming for more goals, but due to strong defense from both sides, all attempts were futile. The long whistle blew, giving San Pedro Pirates F.C another victory with a 2-1 score. Other matches taking place throughout the weekend, saw Assassins Altitude winning 4-1 against Wagiya Sporting Club, Belize Defense Force defeating Belmopan Bandits with a 2-0 and Freedom Fighters and Verdes F.C ending in a 0-0 draw.